Stryker is a leading manufacturer of medical devices and had recently purchased a building in Fremont, CA, for a stent manufacturing process that the company recently acquired. 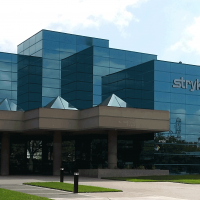 As part of the purchase agreement, Stryker was required to comply with the quality control regulations of the FDA so the company had the building retrofitted to bring it up to standard as well as to increase capacity. Sunbelt Controls was selected for this project because of our proven capability of completing a job in a short construction window and having personnel with a vast knowledge of validating control systems. The project covered 35,000 SF of labs & 90,000 SF of office space and we were tasked with installing and implementing CGMP and quality controls systems up to FDA standards for multiple production and manufacturing areas. Sunbelt Controls also helped remodel office spaces to current technology standards. Over the course of the 6 month project window, Sunbelt Controls installed and utilized an ALC WebCTRL system following the configuration rules built in to make it FDA approved. Installation Quality and Operational Quality procedures, as well as documentation sheets, were developed and implemented by Sunbelt Controls. We also assisted with the building a new manufacturing and production area, and remodeled areas devoted to grinding, testing and delivery. During this timeframe, we also provided control systems and participated in validation activities for a Clean Room, Extrusion, White Room, Grinding Room, Server Room, Shipping, Boxing and CIS labs meeting clean room standards. Following the activation of the production areas, Sunbelt Controls participated in two additional construction phases where office spaces were remodeled and brought up to current technology standards.